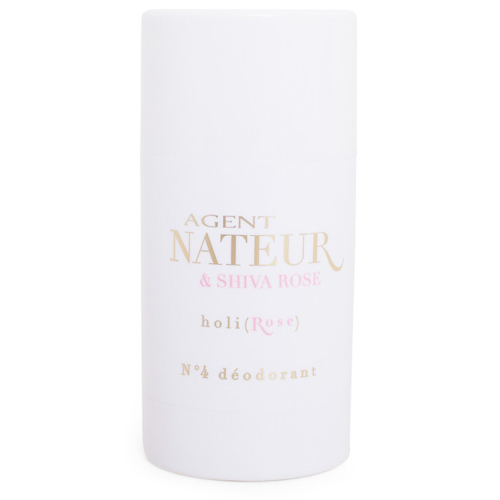 Agent Nateur N° 4 Holi(Rose) Deodorant has an ultra-smooth feel that glides on to keep you freshly-scented all day long. Made by hand of food grade ingredients, this deodorant feels sensual and luxurious, and is gentle enough for delicate under arms. The addition of high quality rose oil is blended with sandalwood for an intoxicating aroma. Plus, the stick is perfectly sized for your beauty cabinet and travel bag. This is the first natural deodorant that really works for me. Plus it smells fantastic. I highly recommend it! This is by far the only deodorant that actually worked for me, I have tried quite a few "green beauty" ones, smells heavenly, very smooth, getting a new one soon!